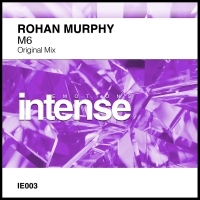 As Intense Emotions hits its third release, Rohan Murphy Grabs the reins with M6 - a stylish offbeat big room trancer. Cool key changes together with hints of acid and melody that tease you with the delights of the ensuing breakdown are all in full effect in the build. As expected, M6 drops in style with epic chords, hypnotic riffs and even some breaks action for good measure. Put together to perfection, Rohan Murphy delivers a fine tune as Intense Emotions continues to raise the bar with every release. 'M6' is available now from Beatport and iTunes.